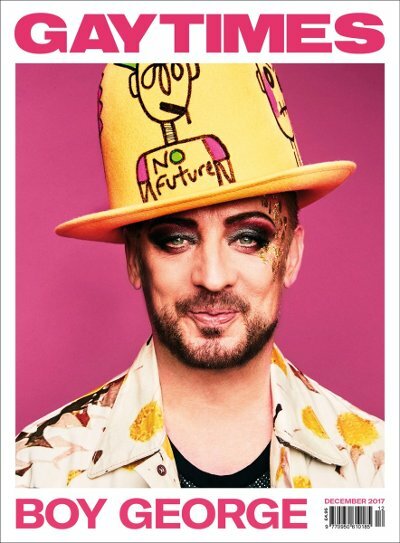 Icon Boy George has been unveiled as the cover star of the new ‘Gay Times’ magazine as the publication undergoes its relaunch, thirty years after he first appeared on the cover. 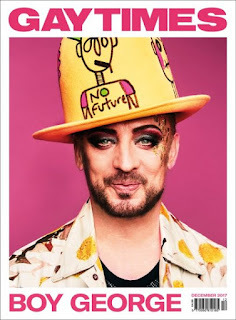 In conversation with Adam Lambert for the accompanying interview, George speaks his upcoming Las Vegas residency show, releasing new music with Culture Club, finding inspiration to write music, his desired collaborations, his magnum opus, and reflects on how his life has changed since he first covered ‘Gay Times’ 30 years ago. "You have to go out and listen to what people are saying and observe and for me, as a writer, I write my best stuff when I'm trawling around. I don’t have to be on the bus — I could get a helicopter [laughs] but I like that mad contradiction. One night you’re doing a massive gig to 20,000 people and then you’re on your way to Waitrose to get some pickled gherkins!" "Well Bowie was the big one. That was a real big dream of mine. I met him a few times and he was adorable and he knew that I was a massive fan. He was very respectable, he was always lovely! I like the idea of doing things with people that you don’t expect. I’d like to work with Eminem or Dr Dre, or something that that just shouldn’t happen. Sometimes it works and sometimes it doesn’t work."